D-Day is approaching. They don't know where or when, but the Germans know it'll be soon, and for Felicity "Flick" Clariet, the stakes have never been higher. A senior agent in the ranks of the Special Operations Executive (SOE) responsible for sabotage, Flick has survived to become one of Britain's most effective operatives in Northern France. She knows that the Germans' ability to thwart the Allied attack depends upon their lines of communications, and in the days before the invasion no target is of greater strategic importance than the largest telephone exchange in Europe. Filled with the powerful storytelling, unforgettable characters, and authentic detail that have become his hallmarks, Jackdaws is Ken Follett writing at the height of his powers. Starred Review. [Flick's] team (all women bar one) are the jackdaws of the title. This unusual idea is carried off with the kind of galvanic skill that was the hallmark of Follett's early books, and Flick is a memorable, complex heroine. Another plumpish thriller from the Follett factory (Code Zero, 2000, etc. ), this time featuring a sort of distaff dirty (half) dozen. They don't come any tougher, smarter, braver, or, for that matter, deadlier than Major Felicity (call her Flick) Clairet.... Ersatz characters, featureless prose, departures from formula nil. But to the Follett faithful that's probably good news. Follett delivers a very entertaining, very cinematic thriller about a ragtag, all-female band of British agents, code-named Jackdaws, sent to blow up a key telephone exchange in France on the eve of D-Day. An exciting look at the dangerous world of courageous souls who confronted the Nazi monster in its lair, Follett's latest will not disappoint fans. 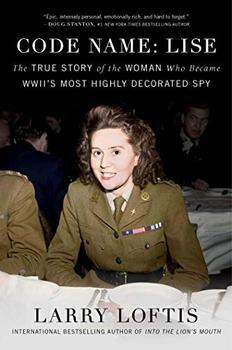 The extraordinary true story of Odette Sansom, the British spy who operated in occupied France and fell in love with her commanding officer during World War II - perfect for fans of Unbroken, The Nightingale and Code Girls. A conscience-plagued mobster turned government hitman struggles to find his moral compass amid rampant treachery and betrayal in 1936 Berlin.